Lawrence Asher Gallery opened during the Fall of 2004. It was created to reflect a strong passion for the arts as well as a vibrant connection to the important community of artists in Los Angeles. The location opposite the Los Angeles County Museum of Art in the Miracle Mile District mirrors an ongoing commitment to the cultural history of the area and the important contemporary arts movement here. Lawrence Asher Gallery presents both the emerging and mid-career artists, exhibiting work from the United States and around the world. 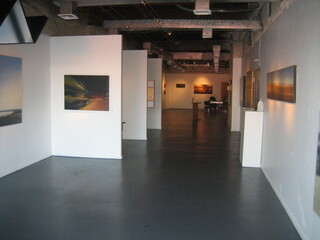 The Gallery features original painting, drawings, mixed media works and sculpture. Each show incorporates a nuanced blend of works offering new and exciting works to the savvy collector. The Gallery itself is its own work of art. With each exhibition, it reinvents the perception of art as it showcases those who make it. ©Lawrence Asher Gallery. All Rights Reserved.